As the picket started up, Xemu and SP 'K' relaxed under Duke's watchful eye, whilst SP 'C' and Choti, The Littlest SP, picketed outside the Org. Meanwhile, opposite the org, other SPs including 'P' and 'A' handed out flyers and collected signatures. 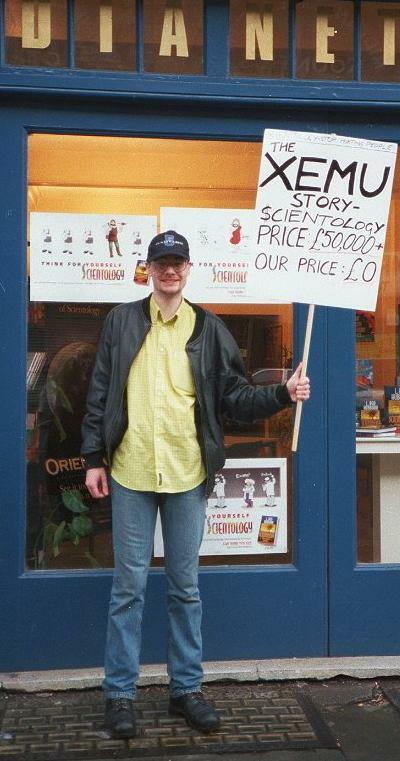 Xemu watched the traffic and Dave B. sang the ElRonRon whilst SP 'K' collected signatures for a Government Inquiry into Scientology. Ever photogenic, The Littlest SP peeked round the traffic sign. My old mate, SP 'D', had linked up with the "away teams" we sent into the city centre due to the abundance of picketers. 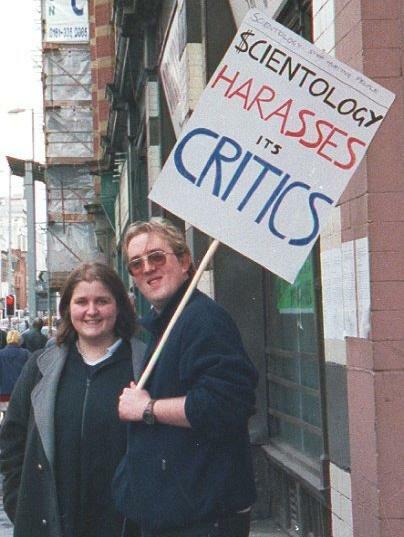 He just had to put in some last minute picketing outside the Org before we finished. 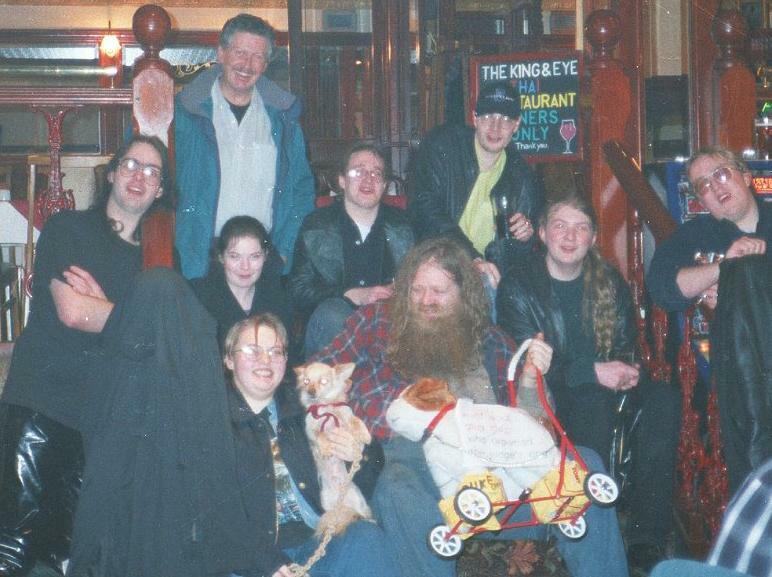 After a wet afternoon's picketing, the SPs and canine friends retired to a local hostelry for a drink or two. By the time I thought to take a group picture, over half of them had gone home.